"Jewish Progressives cannot value Jewish Lives and Freedoms over the Lives and Freedoms of Palestinians"
There can be no solidarity with the Netanyahu government which has undermined moderate Palestinians, rejected offers of peace, and expanded settlements to make a two-state solution – impossible. Political Zionism emerged as a liberation movement in response to antisemitism and nationalism. The foundation of Israel included anti- colonial aspects. Yet the settlement of Palestine by European Jews was itself an act of colonization carried out with– and in opposition to– world powers. The project as it unfolded was based in ideas of Jewish supremacy and in a particular interpretation of our traditions and history. It turned on the violent exclusion of the region’s indigenous population. 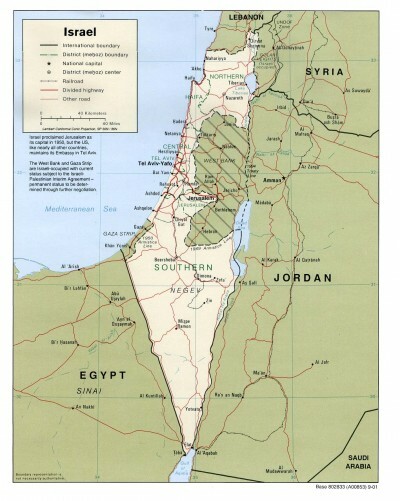 After 1967, Israel established an occupation in the West Bank and Gaza. After 2005, it initiated a siege of Gaza, designed to undermine Palestinian statehood. I therefore cannot remain silent when people portray this month’s conflict in isolation from the context of forty-seven years of occupation, collective reprisal, settlement expansion, and siege. We can attribute each individual failure to achieve peace to one side, the other, or both. But we cannot ignore that despite any rationalizations, Israel has occupied Palestinians for nearly fifty years. Ask what else Israel could have done from its position of strength to pursue peace. Consider what it means to accept so many deaths and the destruction of a city as collateral damage. No matter how we judge Hamas, the assault on Gaza has demonstrated Israeli disregard for Arab life. This will not bring peace. The choices that may bring peace will present serious risks, but none more dangerous, physically and ethically, than preserving the status quo. This does not mean that Israelis lack the right to equality in their native land. It does not mean abandoning our ties to that land. However, we must pay attention to how legacies of power make certain forms of exclusion and subordination seem normal. We must remain vigilant against our own chauvinism and listen to others. Do not believe that Israel lacks partners for peace and do not stand with those who demonstrate to Palestinians that they lack such partners.